On the night of Saturday, July 27, 2013 the world of tango suffered a great loss. 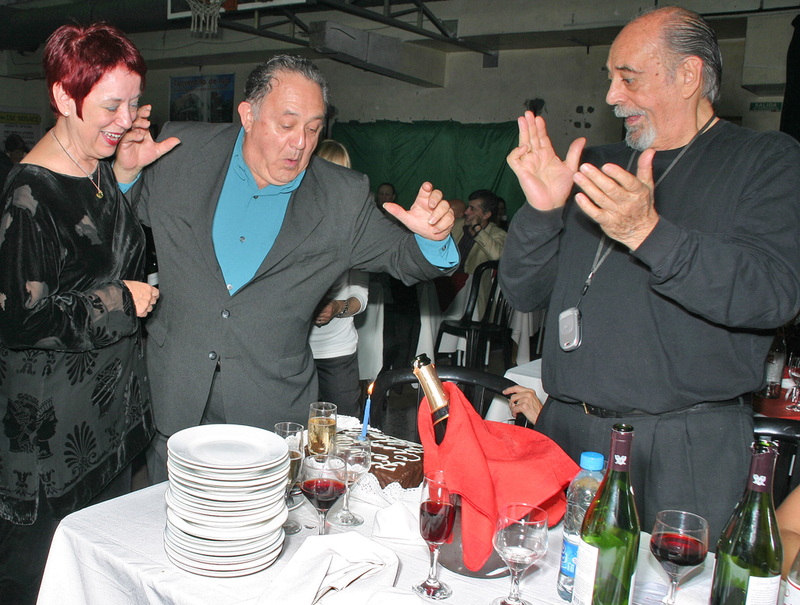 Acho Manzi, a poet, a musician, and a very dear friend of mine died in Buenos Aires at the age of 80. Acho was the son of the great Homero Manzi and he devoted much of his life to keep alive the memory of his father. Acho was 17 when his father died. In 1954 he wrote a poem entitled Father. Fleeing the burden of being the son of Homero Manzi, he choose the anonymity of an adventurous life in the United States. Far away, he put away memories of another life and the dream of becoming a poet. But the experience of confronting himself a cancer diagnosis changed his plans. Some friends who moved to Spain, left him a huge ranch home in California. He went into a downward spiral beginning to feel discouraging physical symptoms. We got together once week at my house in Sunnyvale, and took turns to cook fro each other. He couldn’t decide whether to go ahead with the treatment recommended by the doctors. Then he met an Argentine woman who was doing tango research, they became friends, and that was a magical encounter for him. She convinced him of the need to take care of his illness. He returned to Buenos Aires, got treatment, and beat the cancer. He married Marilu, a wonderful woman and they had a daughter which he named Malena, like the famous tango written by his father. We kept in touch and he was there in 2005 during our Katrina exile, inviting us to spend Christmas with his family. Then in 2008 he joined us at Club Sunderland for the celebration of my birthday. We last saw him in 2009 when we met him at the offices of the Society of Authors and Composers to discuss the possibilities of handling the North American offices of royalties collection. He was among the first to call Valorie to offer his unconditional support when I suffered an almost deadly cardiac arrest in Calgary. Knowing that I had been in an induced coma for 48 hours, he asked me a week later, “Did you see my dad by any chance?” His deadpan sense of humor was something we both always cherished and were proud of, in good and bad periods of our lives. The news of his death came late and took me by surprise. Acho, my brother in tango, how much we’re going to miss you. You never compromised the way you lived.